Drama Camp Registration is closed. Union Street Players’ Drama Camp is an annual week-long opportunity for young people to receive a basic overview of theatre and stage craft. Camp activities include: script writing/reading, set and prop building, actin, mime, puppetry, characterization, vocalization, improv, reader’s theatre, audition preparation, costume shop visit, make-up clinic, and more!!! Spots are not guaranteed until full payment is received. Registration will remain open until camp session is full. Union Street Players’ Drama Camp is an annual week-long opportunity for young people to receive a basic overview of theatre and stage craft. Camp activities include: script writing/reading, set and prop building, actin, mime, puppertry, characterization, vocalization, improv, reader’s theatre, audition preparation, costume shop visit, make-up clinic, and more!!! USP Drama Camp Checks in Full! 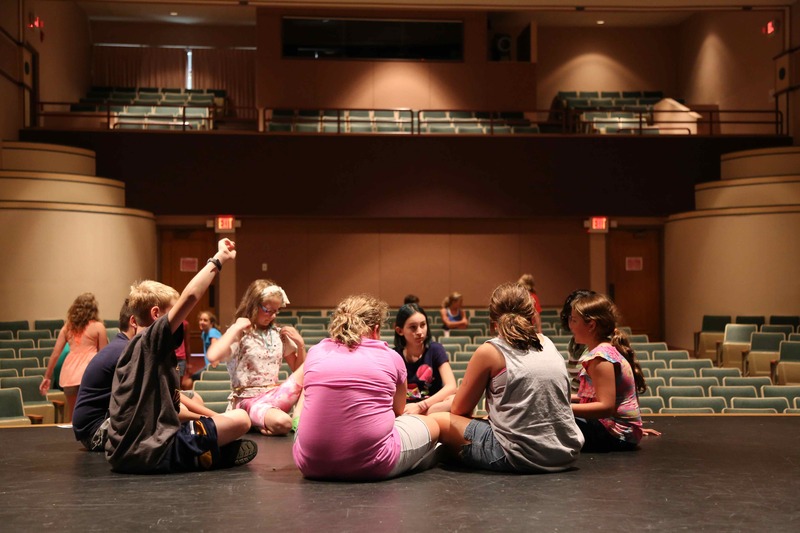 Once again, Union Street Players summer Drama Camp has filled all sessions. We are excited that so many young people are showing an active interest in the stage! Unfortunately, we can accept no more registrations for the 2014 Drama Camp. Please plan on registering your students (those who have finished kindergarten through 8th grade) next year. Drama Camp is generally the first full week of August. AS OF 7/29/14 at 4:00 p.m. Drama Camp is completely FULL. We are accepting no more registrations. We apologize for any inconvenience! Union Street Players‘ annual Drama Camp is scheduled for August 4-8, 2014. Children who are entering 1st grade through 4th grade will be part of the morning session 9:00 a.m. through noon Monday through Friday led by Brystal Hopkins. Children who are entering 5th grade through 9th grade will participate in the afternoon session 12:30 through 3:30 p.m. Monday through Friday led by Suzi Jones. NOTE: Children going into 5th grade may choose to participate in either the morning session with the younger children or the afternoon session with the older children. If you cannot pay using credit card, then mail registration form and check to the address on the registration form. BOTH CLASSES (1st-4th grade and 5th-9th grade) WILL BE CAPPED AT 30 REGISTRATIONS; REGISTRATIONS ACCEPTED ON A FIRST COME/PAID, FIRST SERVED BASIS! Union Street Players‘ Drama Camp for children who’ve completed 1st through 4th grade has filled up. We are no longer taking registrations for this class. The afternoon session for children who’ve completed 5th through 8th grade is still accepting registrations. Drama Camp is scheduled for August 5-9. More information and registration form for grades 5-8 can be found on the Union Street Players’ website. 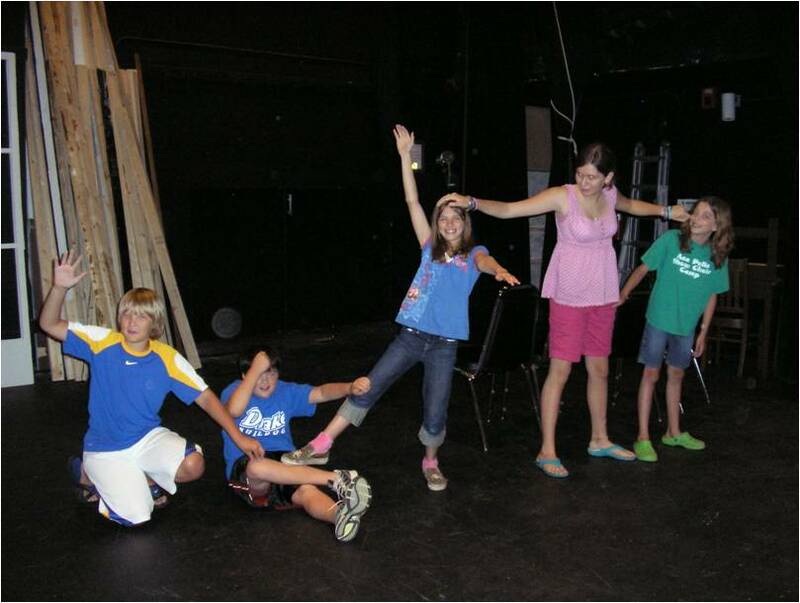 Register NOW for USP’s 2013 Drama Camp! It’s back!!! 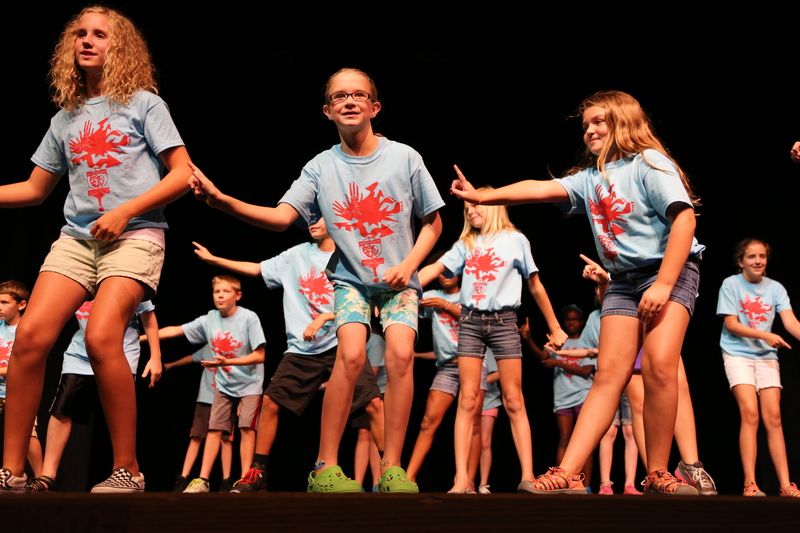 USP’s fantastically fun, summer Drama Camp for grades 1 – 9 will be held August 5 – 9, 2013 at the Pella Community Center’s Joan Kuyper Farver Auditorium. Students who are entering 1st – 4th grade will attend morning sessions* with Brystal Hopkins and Kim Beyer (This session is now FULL, we are no longer taking registrations for the 1st-4th graders) from 8:30 – 11:30 and those entering 5th – 9th grades will attend afternoons with Suzi Jones from 12:30 – 3:30. Students will explore all the exciting opportunities that come with being part of a stage production: scripts, movement, imagery, voice, auditions, make-up, costuming and more! All of this culminating in a Friday night performance for family and friends. Please click the “USPDC Registration 2013” link below to download the registration form. The form may be downloaded and emailed to info@unionstreetplayers.com or printed and sent with your payment to the address given on the registration form. For credit card payments please call the USP box office at (641)204-1094. Registrations received without payment will be placed on a waiting list until payment is received. Questions? Please contact Brystal at brystalhopkins@gmail.com or Suzi at suzanne.jones@pella.k12.ia.us. The class for 1st – 4th graders is now FULL. We are no longer accepting registrations!